The Gothic Rose Arch is a timeless classic that provides an elegant and stylish framework for your climbing plants. The Gothic Arch is constructed using welded tubular steel sections. Easy slot-together home assembly required. Specification - 25mm x 6mm frame, 10mm and 6mm scroll. 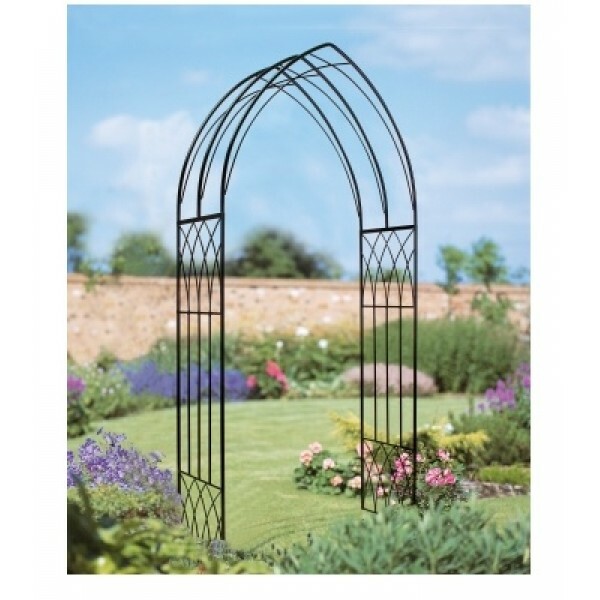 Finish - The Gothic Rose Arch is supplied dipped in black primer ready for you to paint with a top coat in the colour of your choice. We recommend Hammerite but any exterior metal paint can be used.